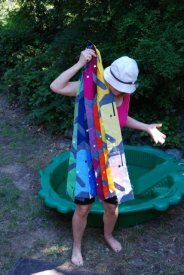 We hope everyone is enjoying Summer activities while managing the heat wave--whew! For those who need a break we’re having a 3-Day Special Sale Event! ALL THREAD, APLIQUICK!, patterns, notions, tools, gifts, needles, sale/clearance, NEW stuff! This past week I created a child sized quilt for my grandson turning 2 years this fall. Still time to quilt & bind the top before busy fall activities resume. Rows and Rows of Preppy Whalers. 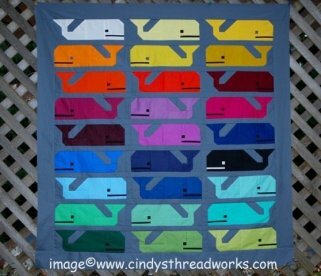 Click here or image if you like Preppy Whale Pattern. Or click NOW to follow on FaceBook if you have an account; scroll down for posts. 12% OFF Special Sale offer Expires Wednesday, August 1st midnight.